The best way to kill your time is to spin the fidget spinner. 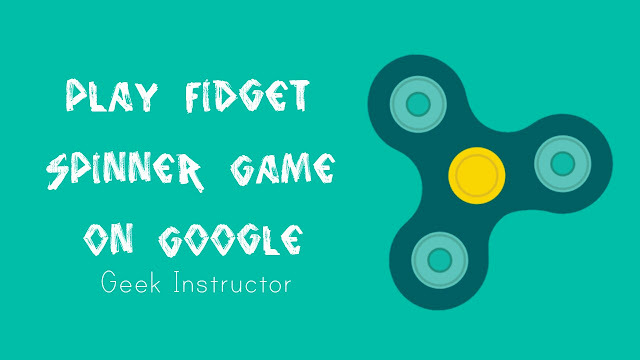 According to Google, fidget means to make small movements and spinner is something which spins. This new toy consists of a two or three paddle-shaped blades attached to a central core designed to spin along its axis with little effort. All you have to do is, place the core in between your thumb and index finger and give it a flick with your free hand. The popularity of this toy can be estimated as it stands in the list of Amazon's 50 most popular toys. Some schools have also banned fidget spinner for being distracting while it's also believed that they give a relaxation to your mind and they are good for relieving nervous energy or psychological stress. However, there is no scientific evidence proving this true. First, open Google Chrome browser and go to Google homepage. 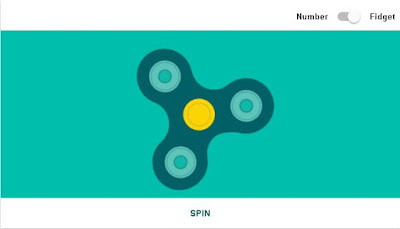 Now search for the term "Spinner". At the top of the search results, you will find a three sided fidget spinner as shown in the below picture. To move it, either tap the spin button or spin it with your fingers manually. You can also change the fidget spinner to a numerical spinning wheel by switching the toggle button to "Number". On spinning this wheel, you will get a random number between one to twenty. You can also change the wheel size from the drop down menu on the top-left corner. Note: This feature may not work in the basic mobile version of Google. If it's not working, either switch Google to the standard version or request a desktop site on your browser. To request a desktop site on Google Chrome, first tap the menu button (three dots at the top-right corner) and then tick-mark the "Request desktop site" button. After enabling this feature, your browser will be forced to load the desktop version of Google on your phone. Similar to this fidget spinner, Google has many more interesting hidden easter egg games like Pac-man, Tic-Tac-Toe, Solitaire etc. You must go now and try them all. If you want to ask something about this tutorial, feel free to share it in the comment section below.